Savor Beauty Carrot Rose Serum 03, 1 oz. Savor BeautyCarrot Rose Serum 03, 1 oz. Savor Beauty: Natural Skincare That Works. Inspired by Korean Beauty Rituals. 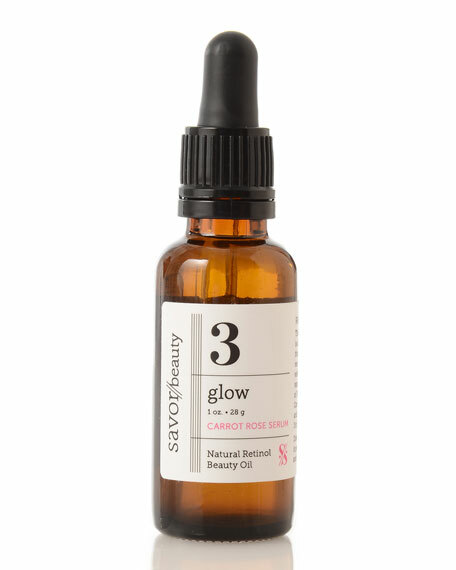 This glow-boosting face oil is a hydrating natural retinol that increases cell turnover and boosts collagen for velvet-smooth skin. The advanced Vitamin A-rich blend of Rose, Honeysuckle and Carrot Seed tightens pores and clears complexion. Step 3 in Savor's 5-step skincare program. Carrot Seeds: Provide vitamin A and beta-carotene to nourish and rejuvenate skin. Rose Essential Oil: Brings out skin clarity. #KoreanBeauty Tip: Pat and press for juicy, dewy skin! Spread 2-3 drops of serum between your hands and pat quickly over the skin, then press to feel serum melt into your pores. This application technique increases serum absorption for a more radiant and healthy glow. 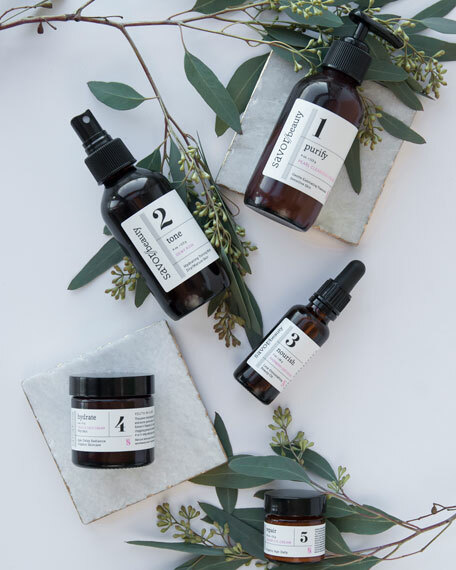 This New York brand's mission is to simplify the Korean beauty ritual and offer holistic organic skincare. Its cruelty-free products use organic ingredients and have no parabens, formaldehyde, synthetic fragrances, phthalates, or sulfates.